Steele Group Realty took a short sale listing because the sellers were in a loan modification program, but the husband was still unable to get a job, so the payments were not possible. They listed as a short sale on 5/11 with a scheduled foreclosure sale date of 5/30. All seller documentation was submitted on 5/16. 5/23 an executed offer with a full price, market value offer was submitted. Offer was uploaded into the Wells Fargo system by an employee who labeled the file “Customer Correspondence”. 5/25 – 5/30 I am in contact with Wells Fargo short sale and foreclosure department nearly every hour to obtain a postponement of sale date. I made sure that the review of the file by the short sale set-up department was escalated. Once they approved that this was indeed a viable short sale offer, the foreclosure would be postponed. 5/29 a processor in the short sale set-up department reviewed the file, and did not see a file labeled “Offer” in their imaging system, despite the fact that I had already confirmed with supervisors that the offer and all supporting documents were there. 5/29 the processor who was apparently unwilling, to look through all of the files, no matter how they were labeled, determined that there was no offer and therefore declined the short sale option and approved the foreclosure. House went to sale this morning at10:30 a.m. I honestly can’t get over the failure of this system. I have been on the phone since 7:00 a.m.this morning, trying to push through another review….to no avail. This is just wrong, on every level. Had the file been correctly labeled originally this would be a different outcome. Had the person in the set-up department taken an extra five minutes and reviewed all files, this would be a different outcome. Buyers and sellers are devastated. 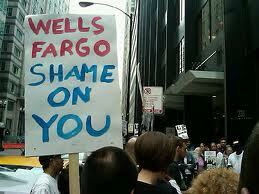 I spent hours and hours, and everyone loses, even Wells Fargo, who will now have to pay to re-market the property. Stupid, stupid, stupid. A clerical error by a non-decision maker has changed the lives and business outcomes of many. There is no excuse for this level of incompetence in my book. I have never lost a short sale and this doesn’t sit well.